The tallest mountain in Greenland, Mt. Gunnbjørn, as seen from an Operation IceBridge flight. Last month, NASA researchers were gleefully sharing the early returns from their recently launched ice-monitoring satellite, ICESat-2, at the world’s largest annual meeting of Earth scientists. This month, many of those same researchers are furloughed as a vital airborne campaign needed to calibrate the satellite faces mounting delays due to the U.S. government shutdown. Science Magazine reported last week that the spring campaign for NASA’s Operation IceBridge—a series of airborne flights over the Arctic and Antarctic the space agency has been conducting since 2009—would likely be delayed thanks to President Trump’s fictitious crisis at the U.S. southern border. Now, several scientists involved with IceBridge and ICESat-2 have told Earther that campaign, initially slated to start on March 4 and run for eight weeks, faces delays of up to a month, perhaps cutting the field season in half. Such delays would dramatically reduce the amount of data researchers will be able to collect this spring—data that’s needed to continue an uninterrupted record and verify data collected during the space agency’s $1 billion ICESat-2 mission. The IceBridge mission was designed to bridge the data gap between ICESat, a satellite laser altimeter that measured the height of Earth’s icy surfaces from 2003 until 2009, and ICESat-2, which is now collecting similar data at a much higher resolution. These missions are providing NASA with crucial intel on how ice shelves and glaciers are melting and moving in a warming world, in addition to helping pinpoint subglacial lakes and other icy features. IceBridge aircraft are outfitted with a handful of laser altimeters to carry on the ICESat records, as well as radar instruments for peering through the ice and other mapping tools. Typically, NASA conducts a roughly 2-month-long series of spring flights over the Arctic, followed by a month-long fall campaign in the Antarctic. With ICESat-2 now up and running, this year’s spring IceBridge campaign—the second-to-last for the Arctic with a shorter campaign planned for the summer—plays a pivotal role. The team is planning to fly many of the same tracks that ICESat-2 does, allowing researchers to check and make sure the satellite is arriving at accurate measurements across a variety of icy terrains. 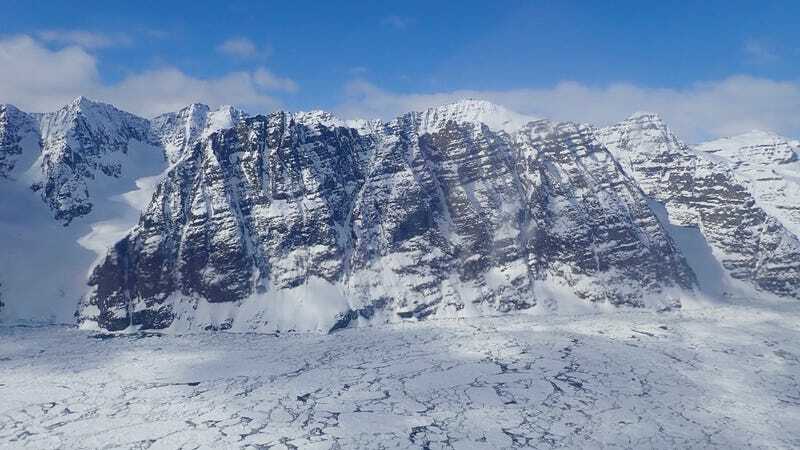 “By having ICESat and IceBridge measurements at the same time we know exactly how those two datasets relate to one another,” Ben Smith, a glaciologist at the University of Washington who serves on both the IceBridge and ICESat-2 science teams, told Earther. According to Sonntag, the P-3B Orion aircraft NASA is using for this spring’s campaign was on a different mission last fall, and it requires maintenance before it’s ready to fly again. While NASA received an exemption last week to begin that maintenance work before the P-3B falls into disrepair, Sonntag said the agency lost “the better part of a month” and it’ll take time to catch up. And the integration of the actual scientific instruments needed for IceBridge, including those laser altimeters, is completely stalled due to the shutdown. “It’s going to be a significant loss of opportunity,” said Ron Kwok, a researcher at NASA’s Jet Propulsion Laboratory who serves on both the IceBridge and ICESat-2 science teams. Smith wasn’t ready to wave it off as a minor inconvenience, either.